EMU Australia offers a wide range of cute sheepskin winter booties for kids. Keep your kids’ feet cute and cosy with our selection of colourful and durable snow boots. Made with 100% real sheepskin, our fur boots for children are the perfect winter shoe. Choose from versatile colours like tan, brown and black that go with any outfit. Want something more fun? Get them in a range of bright colors and silly patterns that will put a smile on any child’s face. 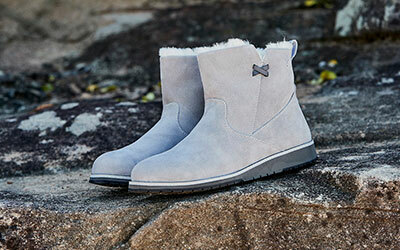 EMU Australia winter boots for children will keep your kids’ feet cute and cosy all winter long. Our waterproof and water resistant styles are perfect for messy toddlers and kids of all ages. The hard rubber soles mean they can explore the outdoors while keeping their feet protected. The maximum grip and traction are great for energetic kids who love to explore. We offer a range of soft, fur lined snow boots that are perfect for everyday use. Whether they are playing in the snow or staying inside huddling around the fire, EMU’s got your kid (and their feet) covered. EMU Australia winter boots for children are made of the highest quality natural materials. 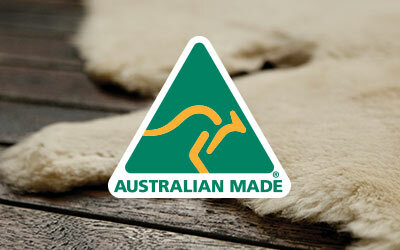 Select styles are made from 100% real Australian sheepskin, ideal for those cold winter months. We also offer a selection of waterproof suede booties lined with Merino wool for added protection and comfort. EMU Australia offers a wide range of cute and stylish patterns for kids, including adorable animal faces and edgy metallic stars. Kids are unique and their snow boots should be too. Choose from classic colours like black, tan and grey, or go for something bolder with bubblegum pink, purple or red. EMU Australia children’s snow boots come in a variety of classic and fun styles that are perfect for all of your winter activities. Our sheepskin booties are super breathable, meaning they will keep your feet warm in the winter and cool in the summer. EMU Australia’s line of versatile winter boots for toddlers and kids are designed to withstand all seasons and occasions. Visit a retailer near you to find the perfect gift for your little one. In a rush? Shop online and get free shipping with your purchase.